STEELVILLE, MO. 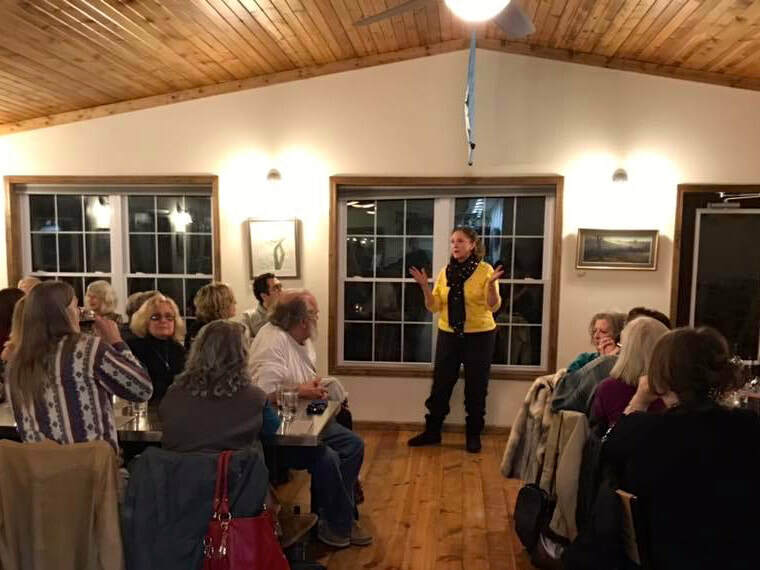 -- Charlotte Ekker Wiggins at January 26, 2019 Peaceful Bend Supper Club where Bluebird Gardens honey was featured in the 4-course dinner. Charlotte's weekly blog posts are based in part on readers suggestions and input. If you have a question or a comment, Charlotte will respond both personally and in an upcoming blog. ​Although only descriptions can be helpful, Charlotte won't be comfortable giving advice without first seeing a photo. If you don't have a photo, feel free to find something that looks similar online and send a link. Thanks! Check Missouri Gardener Magazine's online gardening event calendar, which Charlotte writes for State by State Gardening. Have an item you would like to submit? Publication is at least 4 months prior to the event date, contact Charlotte for more details. If you subscribe to this bi-monthly magazine, you will get 10% off purchases from participating garden centers. ​There are also similar publications for other 20 states.